Another Historic Rolex Race Is In The Books!!! 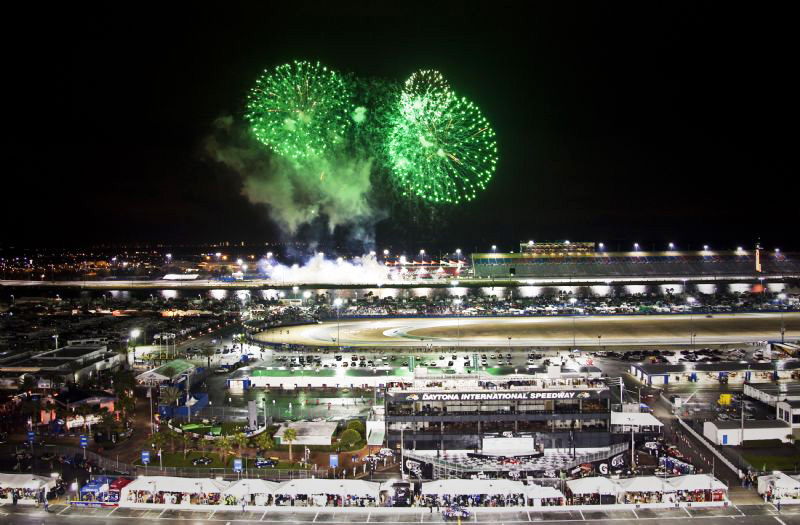 The Rolex 24 at Daytona is now in the record books, and this was the 48th anniversary of this historic race held annually at Daytona Beach, Florida, U.S.A. 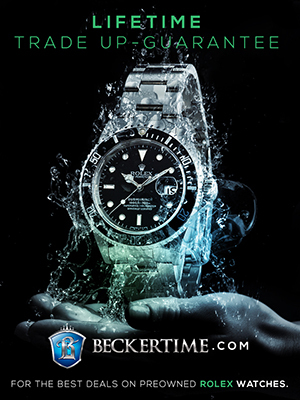 In this fascinating article we are going to take a look at the race itself, as well as explore the rich tapestry of Rolex Daytona History. 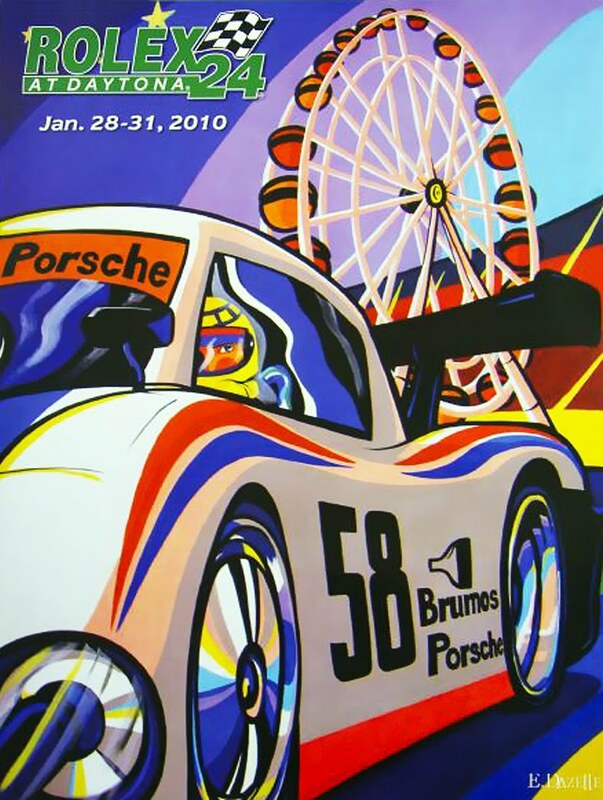 First we begin with the official artwork of the 2010 Rolex 24 at Daytona which was designed by the talented French artist, Erwin Dazelle. David Concannon is a world-class explorer and diver. 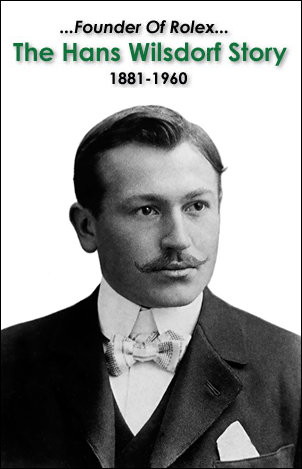 He has been an advisor on 6 expeditions to the Titanic and led the last expedition to the Titanic, and has participated in 3 DEEP-SEA dives to the Titanic. 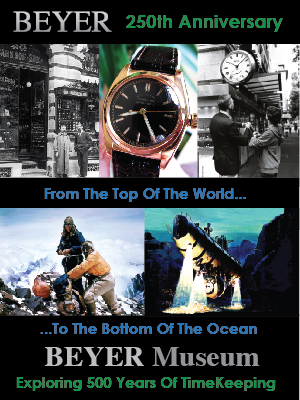 In 2010 we will be doing a story about his amazing career achievements including a podcast about his Titanic expeditions. 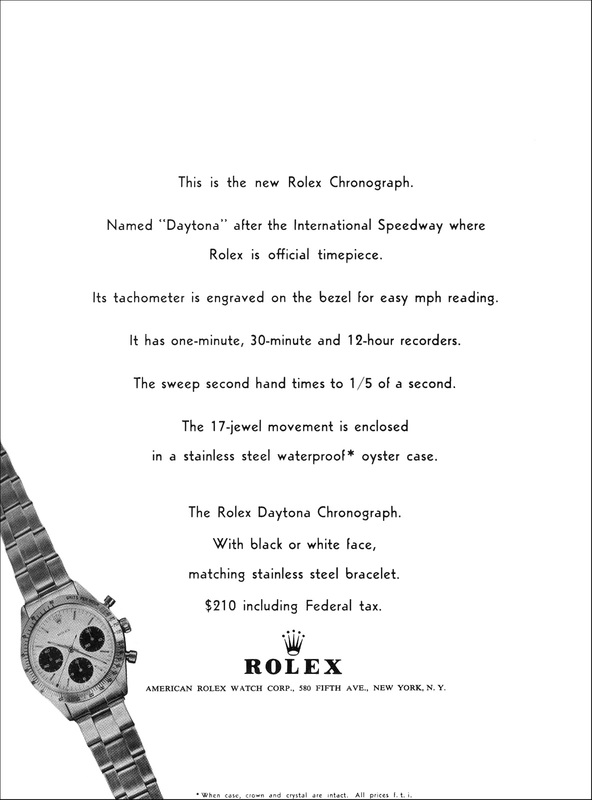 David is also a Rolex fanatic (severe RISitus) and daily reader of Jake's Rolex World Magazine and he sent in this amazing original Rolex Daytona ad from 1965 introducing the Rolex Daytona Chronograph as the official Watch of Daytona. 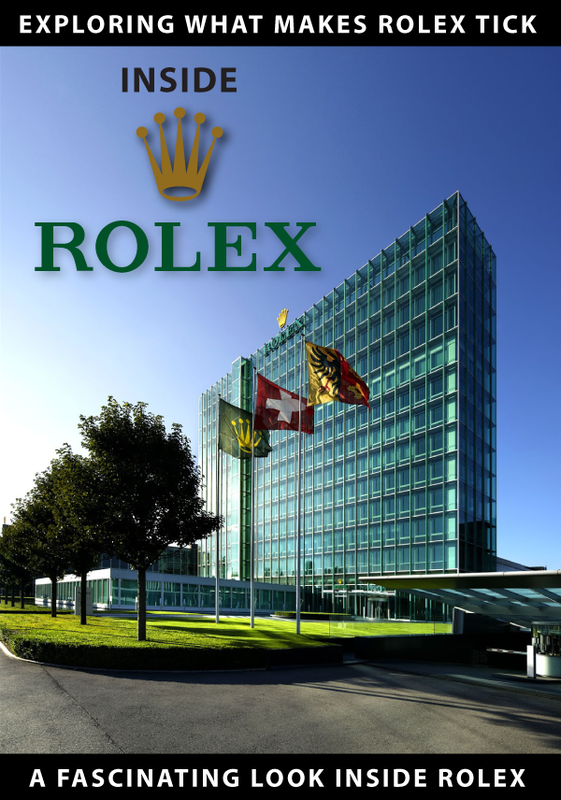 FYI: In the Future, I plan to write a series, titled, "The Complete History Of The Rolex Daytona Cosmograph" which will be fascinating and shed all kinds of new light and insight onto the magic behind one of the most coveted, iconic, inspiring and illusive watches in history. 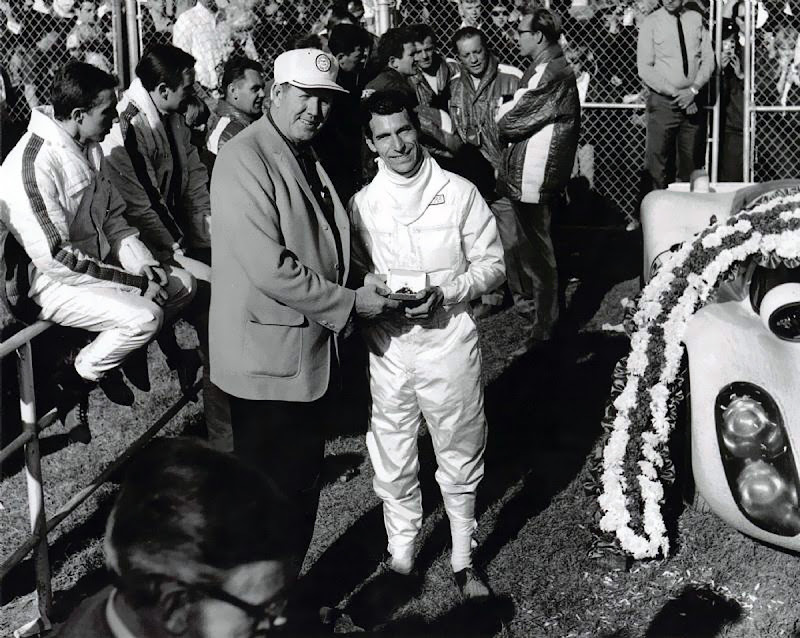 In the historic Rolex photo below from Porsche Motorsports, we see the 1968 Rolex Daytona winner, Vic Elford representing Great Britain, being presented with a stainless steel Rolex Daytona Cosmograph for his victory of the 24 At Dayona. 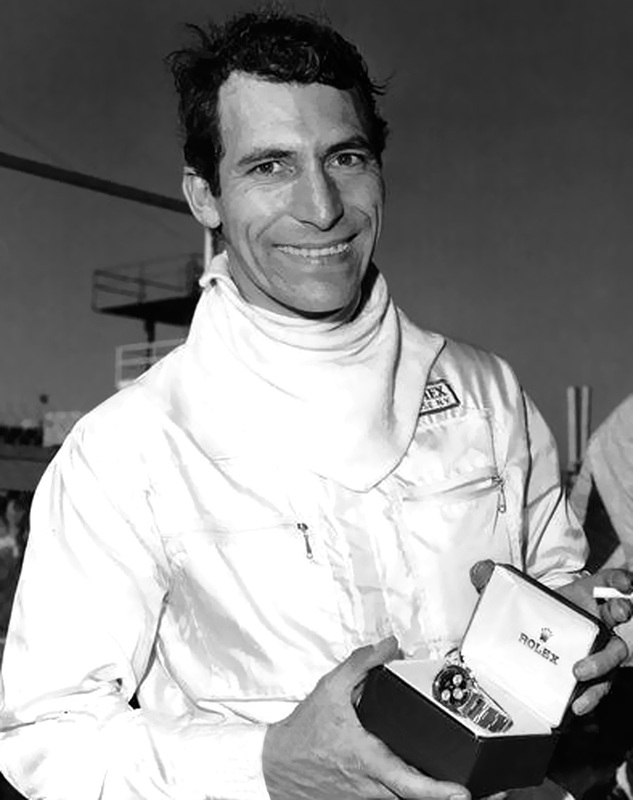 Vic Elford is pictured below posing with his 1968 Rolex Daytona prize for winning the 24 hours of Daytona. 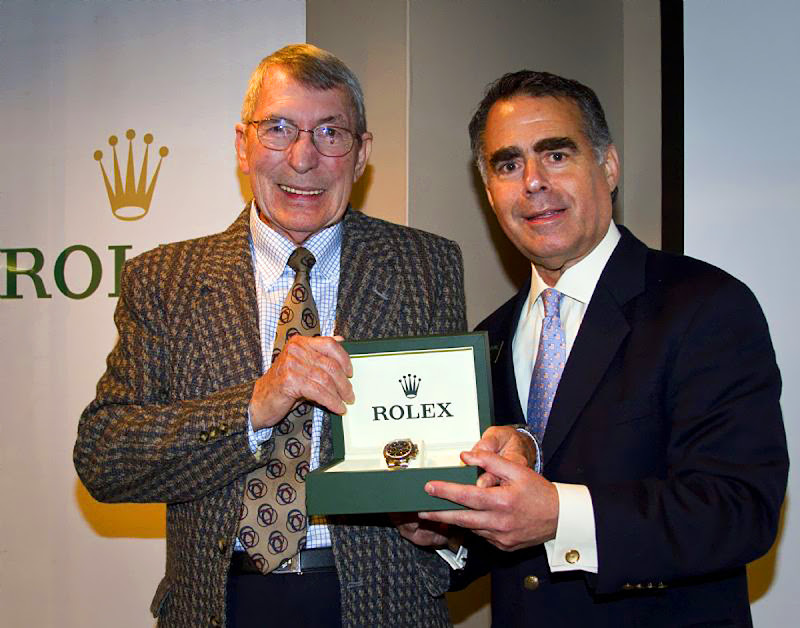 Fast forward, 42 years from 1968 to the 2010 Rolex 24 at Daytona and we see Vic Elford below being presented a new stainless Rolex Daytona Cosmograph by Rolex U.S.A. President and C.E.O., Allen Brill. 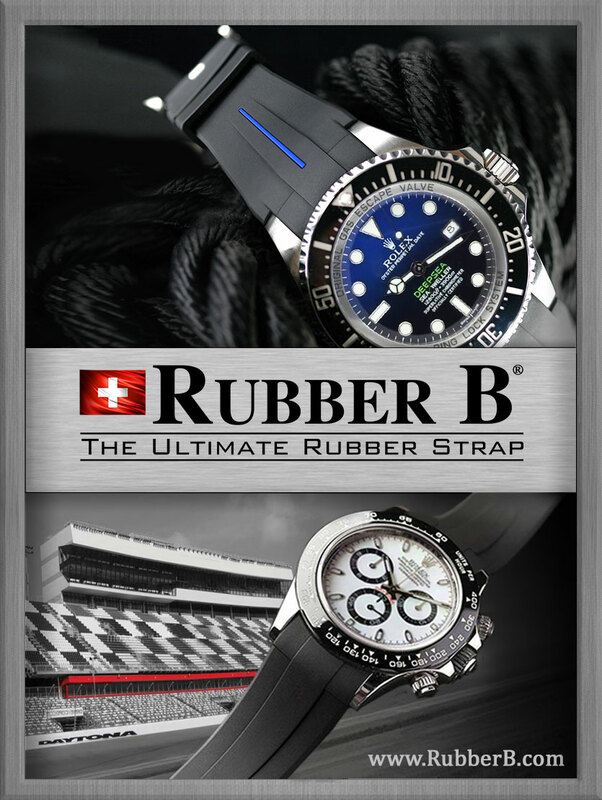 Rolex has been involved with the Daytona Intentional Speedway since 1959 and to this day Rolex actively sponsors many of the most prestigious motorsport events, including the Rolex 24 At Daytona, The 24 Hours of Le Mans, the European Le Mans Series, and the Rolex Sports Car Series. 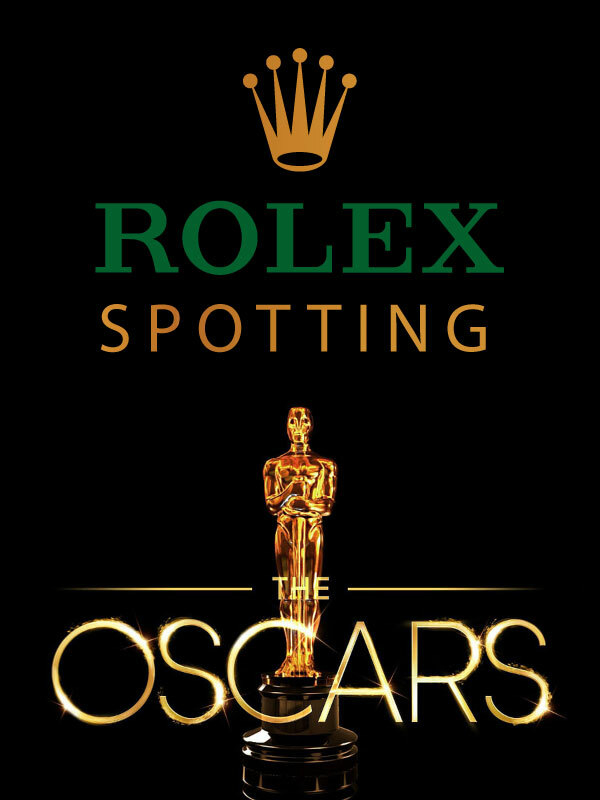 Rolex also supports The Pebble Beach Concours d'Elegance and the Pebble Beach Tour D'Elegance presented by Rolex, and The Quail, which is a Motorsport Gathering. 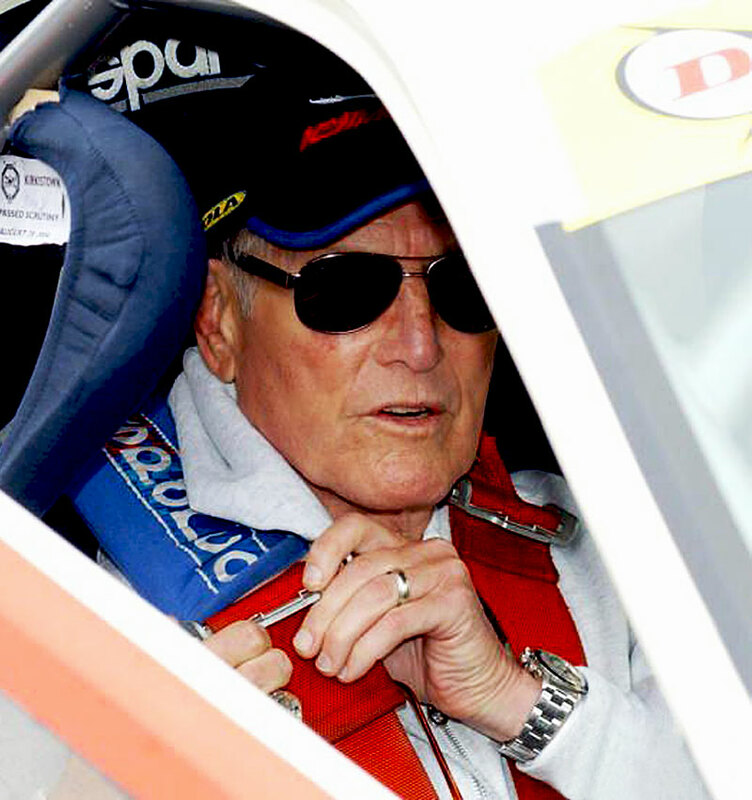 In 1995 ultra-famous movie star, amazing philanthropist and ultra-succesful entrepreneur, Paul Newman raced into the record books when he won the 24 Hours At Daytona. Paul Newman is famous in the collectable Rolex world for wearing many different Rolex Daytona Cosmograph watches over the years, but he is most associated with the "Exotic Dial Paul Newman as seen on a FAT-STRAP in the photo below, which his wife Joanne Woodward gave him as a give in 1972 when he started his racing career. 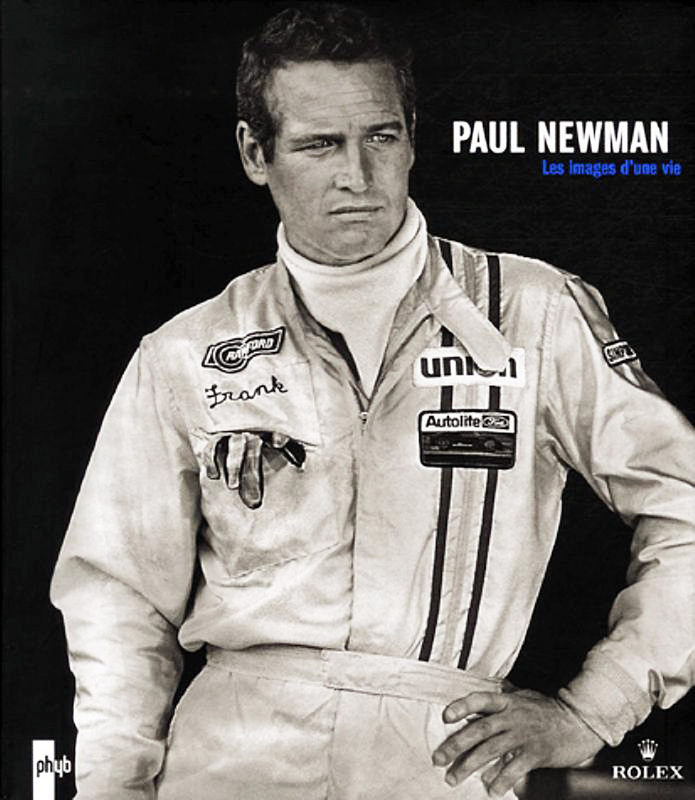 Paul Newman became extremely passionate about racing while starring in the 1969 movie named Winning, in which he played a race-car driver as pictured in the photo above. 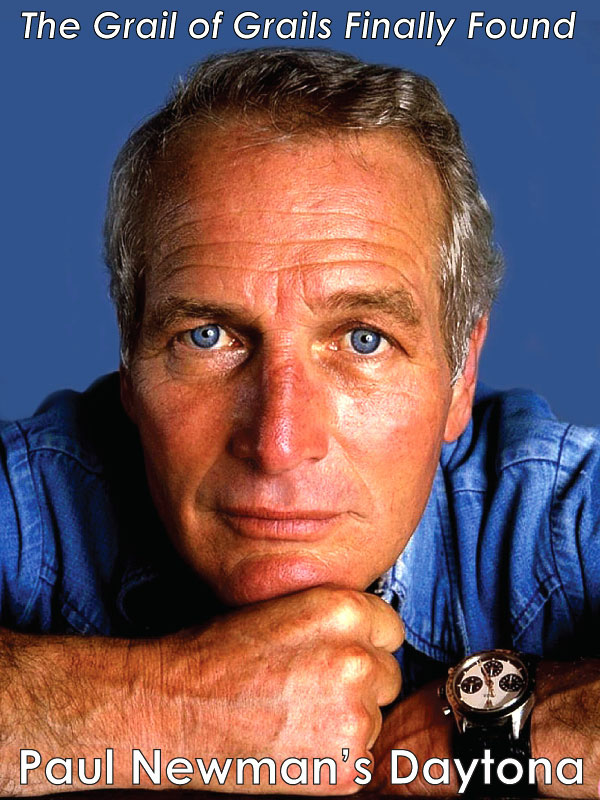 As I mentioned, Paul Newman was a huge Rolex Daytona collector and Rolex collector in general. 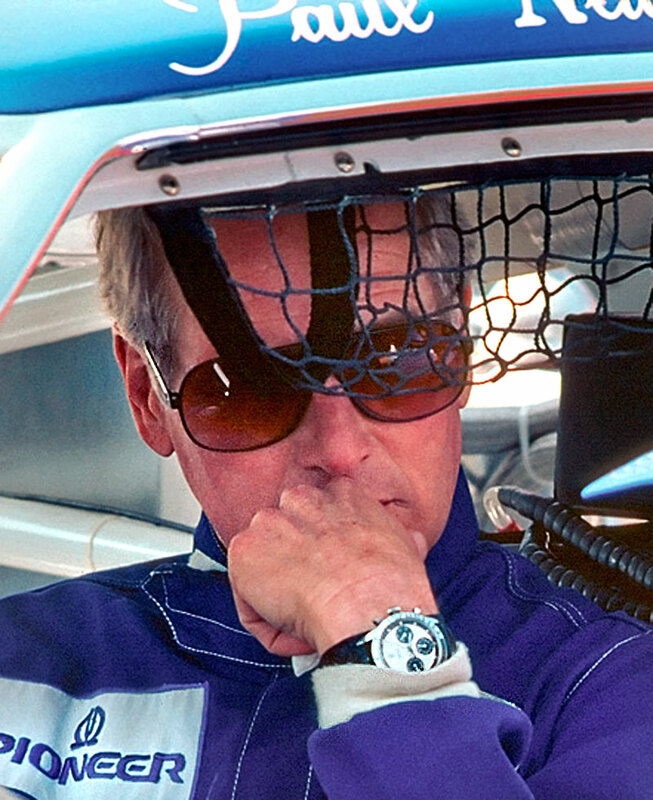 He wore many, many different Daytona watches, and in a more recent photo taken just a few years before he passed away, we see him racing with a different Paul Newman Daytona. 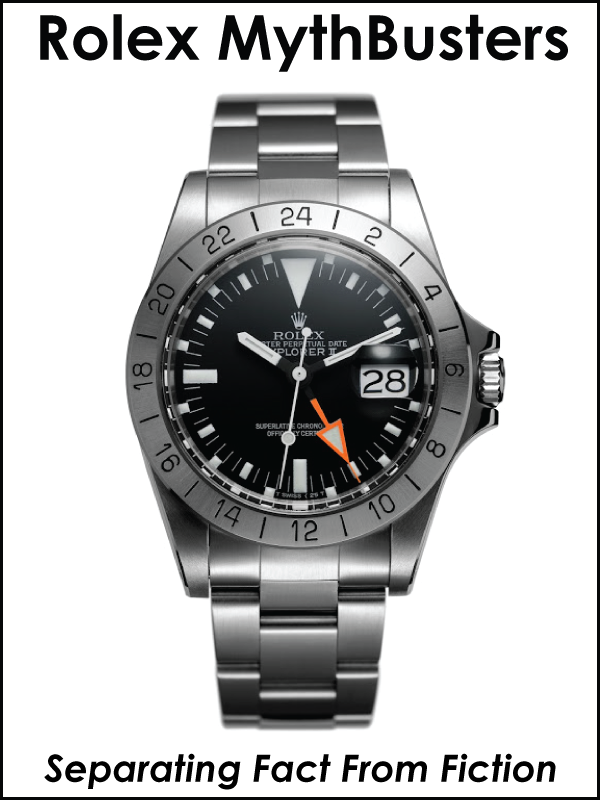 This one is clearly on a Rolex Oyster bracelet. 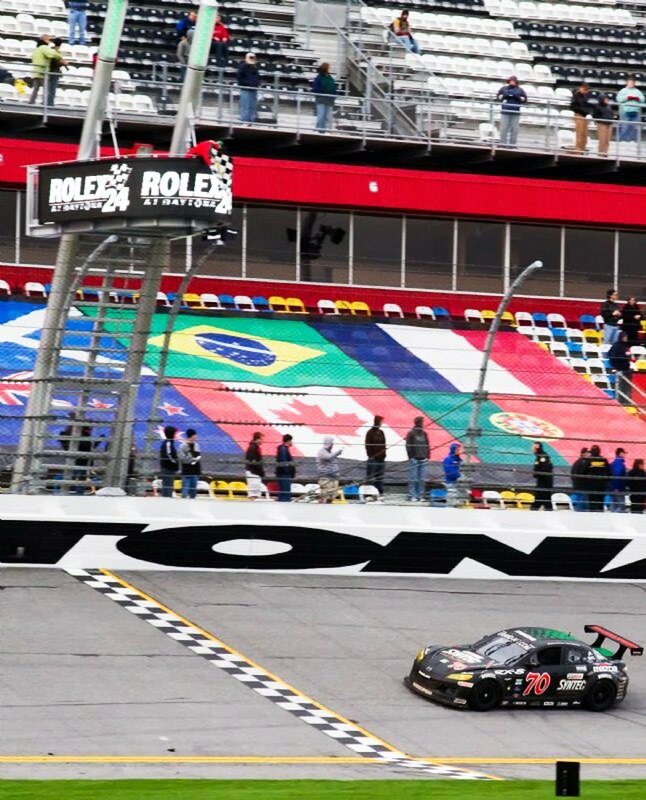 Since we have taken a historic look back at Daytona, let's take a look at the 2010 Rolex 24 At Daytona. 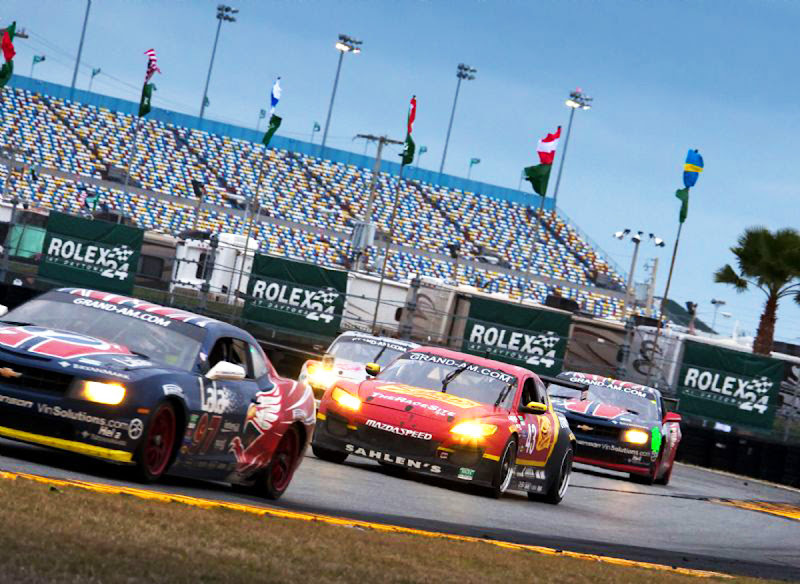 The Rolex 24 at Daytona is a 24-hour sports car endurance race held at the Daytona International Speedway in Daytona Beach, Florida on a 3.56-mile (5.73km) combined race course. This unique road course utilizes portions of the NASCAR tri-oval, coupled with an infield rad course. The race has historically been held the last weekend of January or first weekend of February. 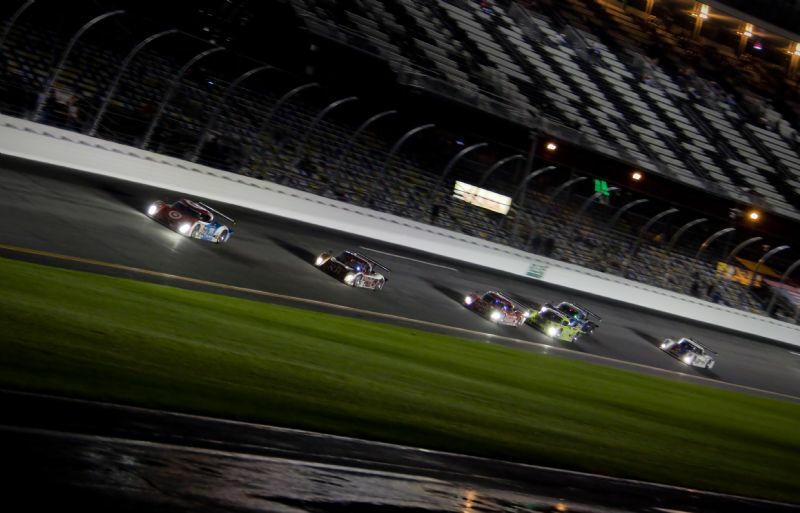 In 1962, a few years after the track was built, a 3-hour race named The Daytona Continental began, which counted toward the World Car Championship. 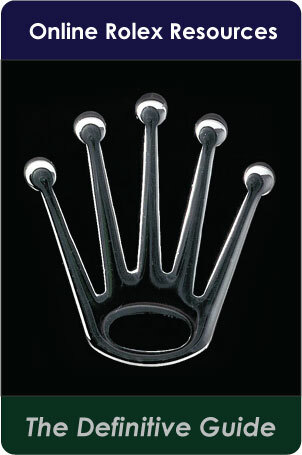 Rolex has sponsored the race for 19 years since 1991. 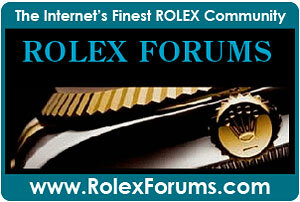 Winners of the Rolex 24 At Daytona always receive a stainless steel Rolex Daytona. 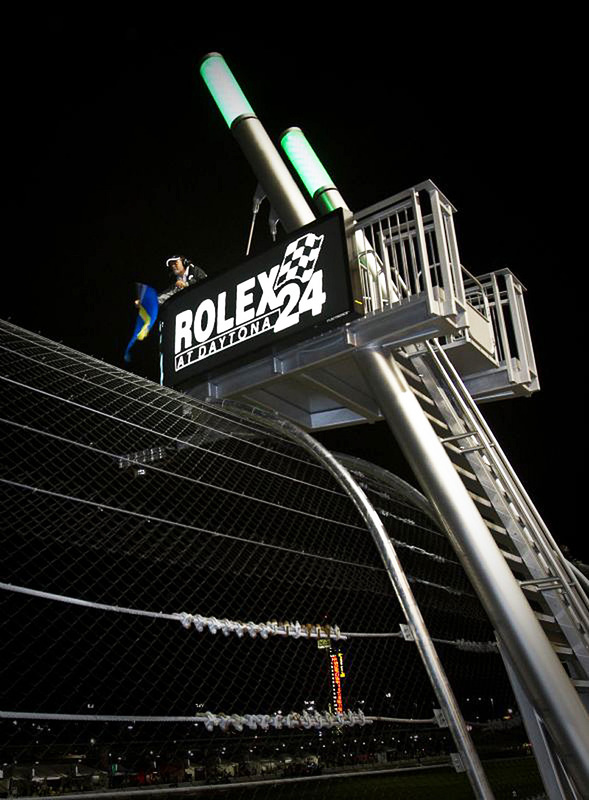 In the photo below, we see the newly christened Rolex 24 At Daytona flagstand at the Daytona International Speedway. World Class Drivers & Actors? There have been some really successful actors like James Dean, Paul Newman and Steve McQueen who got really into racing cars. Many heavy-hitting drivers showed-up to compete to win the Rolex 24 At Daytona and actor Patrick Dempsey, who stars on the TV show Grey's Anatomy (pictured below) even showed up to compete. Patrick drove for the Dempsey Racing Team in #40 in the Mazda RX-8. 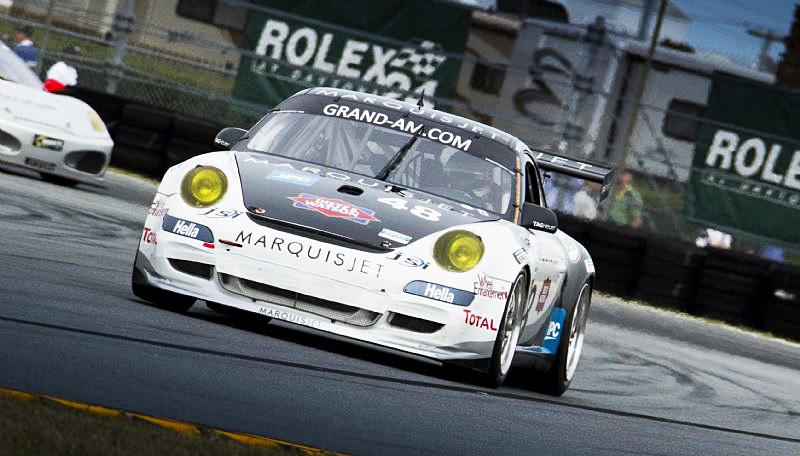 The 2010 Rolex 24 At Daytona was the third time Patrick Dempsey competed as a team member. 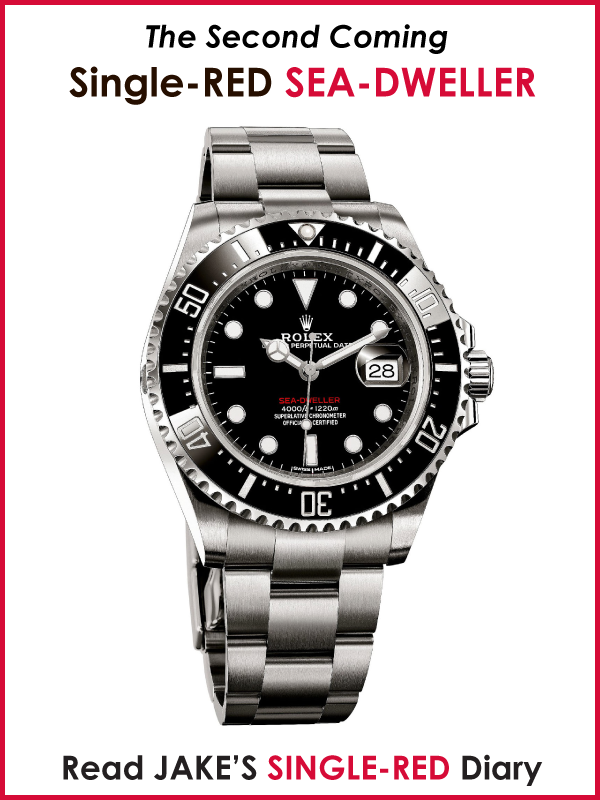 Luke Hines is pictured below sporting his Rolex LV 50th Anniversary Submariner. 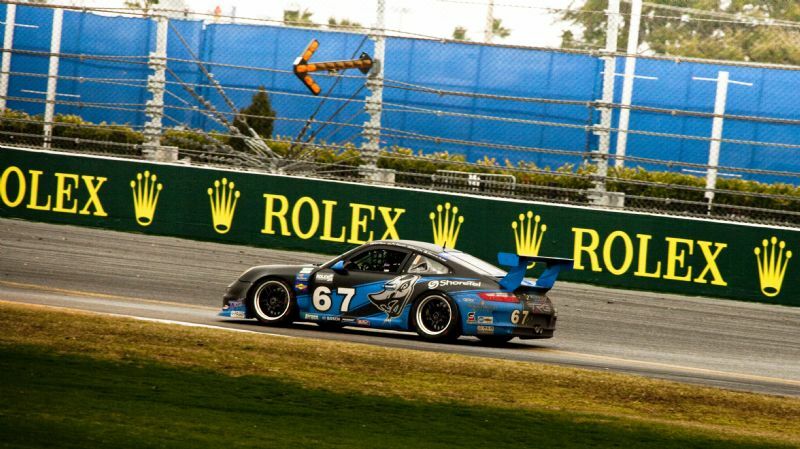 Luke was representing Great Britain and drove on the Miller Barrett Racing team in the Porsche GT3 #48. (Sorry, I couldn't resist matching the color of this text with Luke's funky shades ;-) Dude!?! Wasssuuuup with the lid!?! Say Ho, if you got your funky busfare!!!! Go Speed Racer, Go Speed Racer, Go Speed Racer, Go!!!! I have no idea why I just wrote that, but the Speed Racer theme-song started playing in my head!?! In the photo below we see two of the wicked-cool new Chevy Camaro Concept cars looking awfully tight!!! I can't remember the last time I actually like and desired an American car, but that all-new Camaro is looking amazingly cool!!!! I can't wait so see it next year when Chevy introduces the convertible version!!!! The cars below were competing in the Grand Touring Class which is commonly referred to as the GT Class. 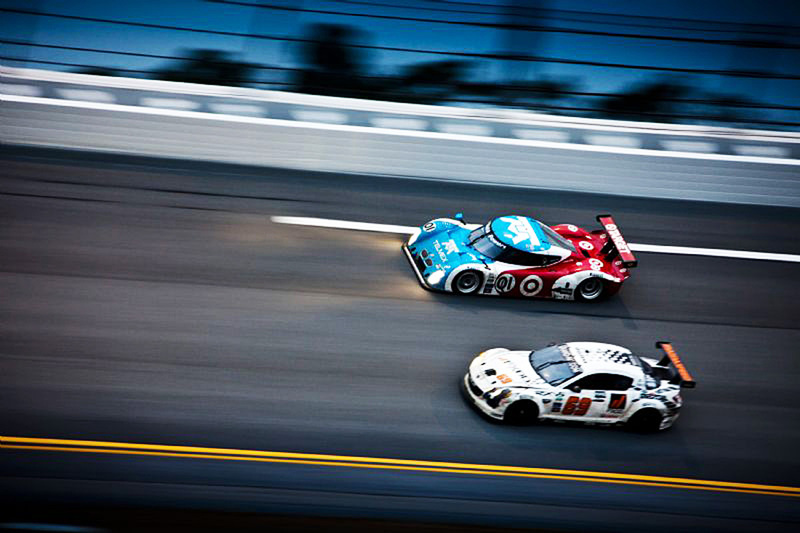 There are two distinct classes of cars that compete at the Rolex 24 At Daytona. 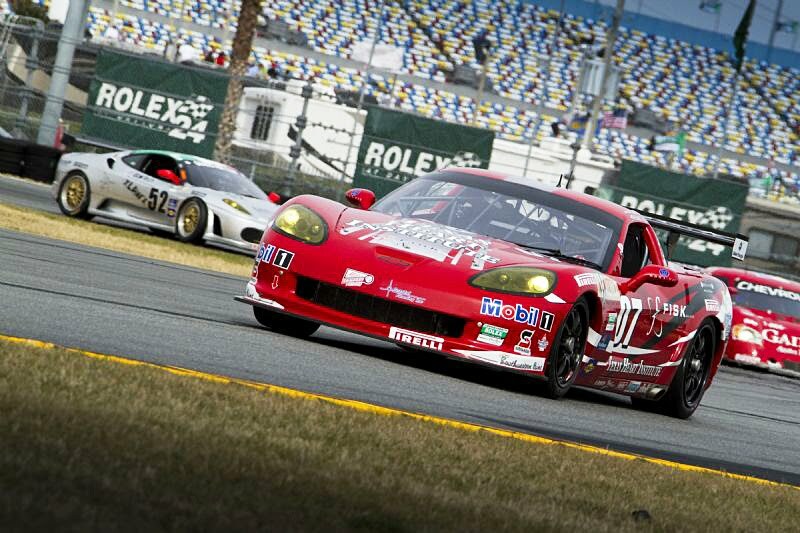 The Daytona Grand Touring Class and the Daytona Prototype Class. 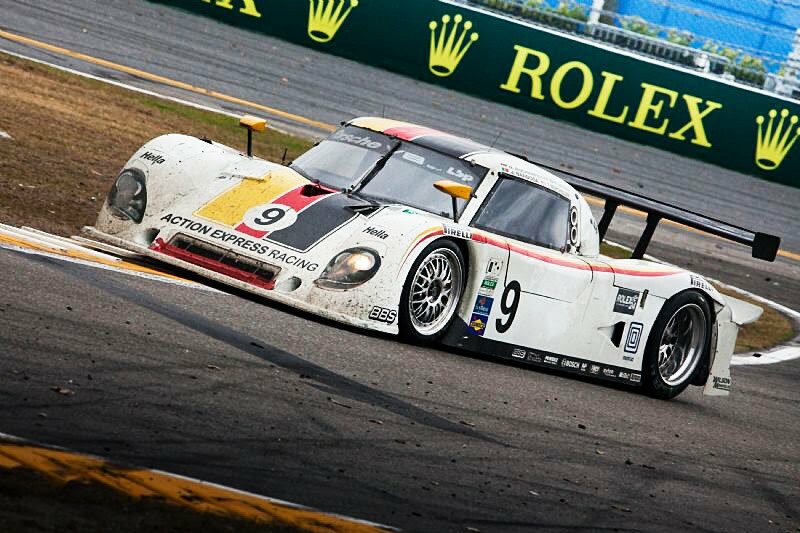 Daytona Prototype Class cars use less expensive materials and technology. 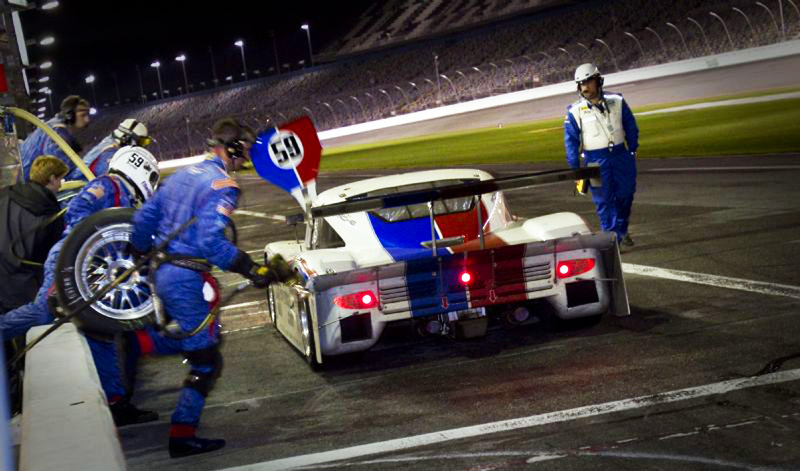 This next shot was taken in the 18th hour of the Rolex 24 At Daytona. In this photo the cars kind of look like Hot Wheels–don't they? In this next photo we see racing legend Hurley Haywood in the pitstop in the middle of the night as the pit team begins to prepare the car for its next driver. The different teams have multiple drivers who switch off driving the car. This next shot is of a Porsche Gt3 from the Miller Barrett Racing Team. 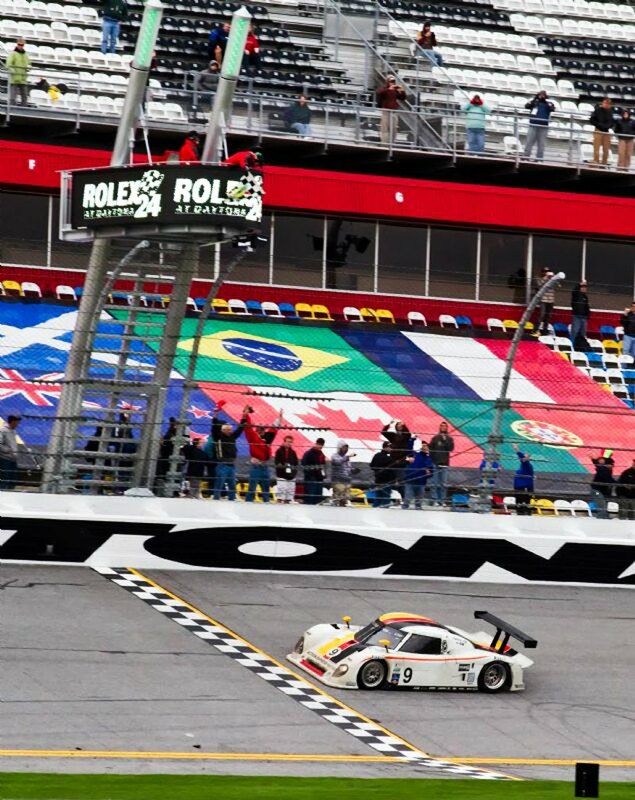 The Daytona Prototype (DP) Class winner was the Action Express Racing Car #9, which was a Porsche driven by the following team members: Terry Borcheller (Vero Beach, Florida), Joao Barbosa (Portugal), Mike Rockenfeller (Altnua, Switzerald) and Ryan Dalziel (Orlando, Florida). The Rolex 24 at Daytona team that got the checkered flag for the Grand Touring (GT) Class was the SpeedSource car #70 with was a Mazda RX-8 which was driven by the following team members: David Haskell (Plantation, Florida), Sylvain Tremblay (Sunrise, Florida), Nick Ham (Evergreen, Colorado) and Jonathan Bomarito (Monterey, California). 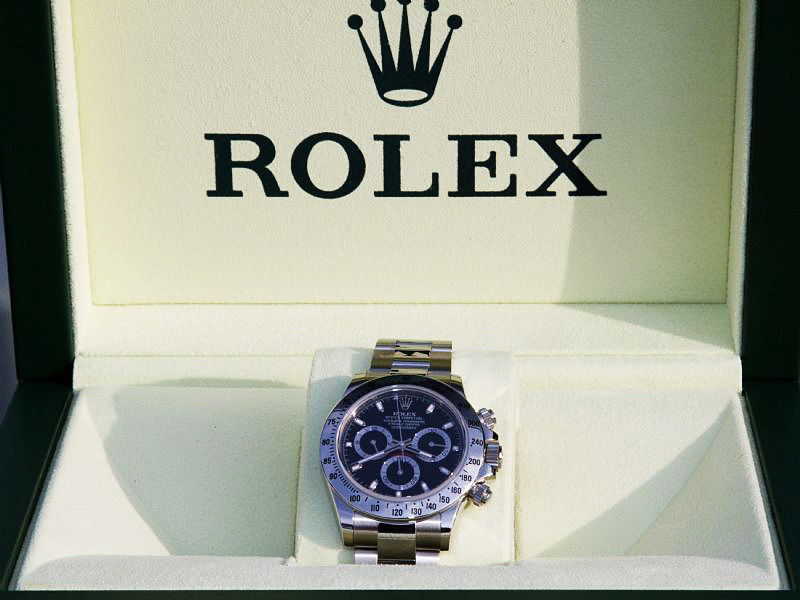 Each winning team member of the Rolex 24 At Daytona gets a special edition stainless steel Rolex Daytona, which they receive in an oversized presentation box. 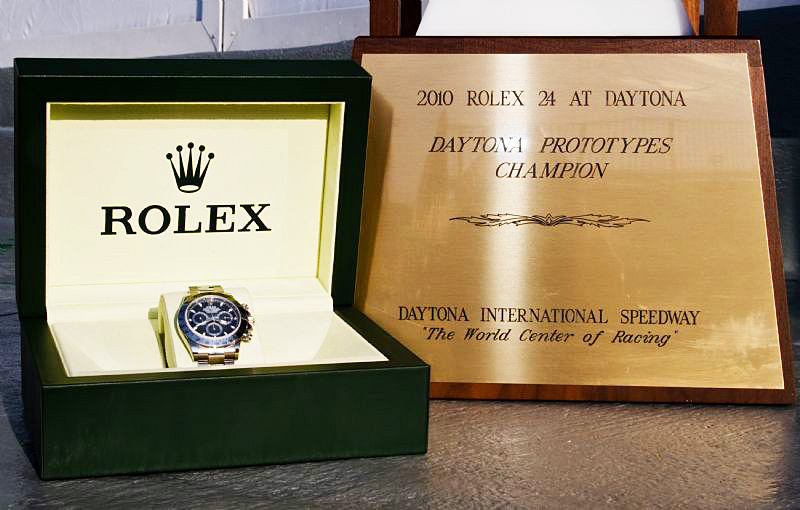 Each Rolex 24 at Daytona winner receives a special commemorative winners plaque as seen below, along with their special-edition, winner's Rolex Daytona Cosmograph. 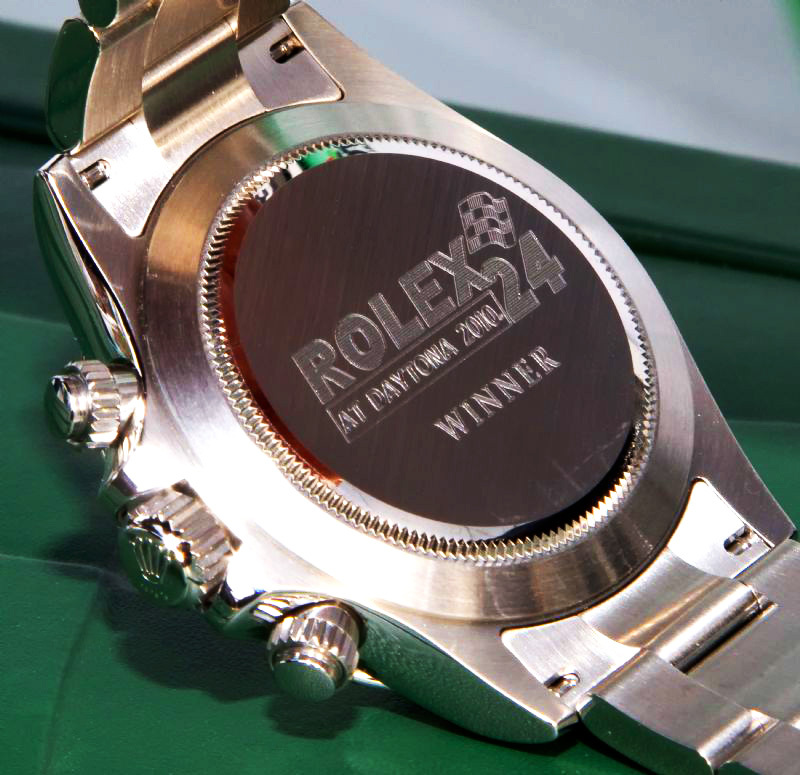 Each team member of the winning team, receives a special edition stainless steel Rolex Daytona with the really cool engraving on the back!!!! 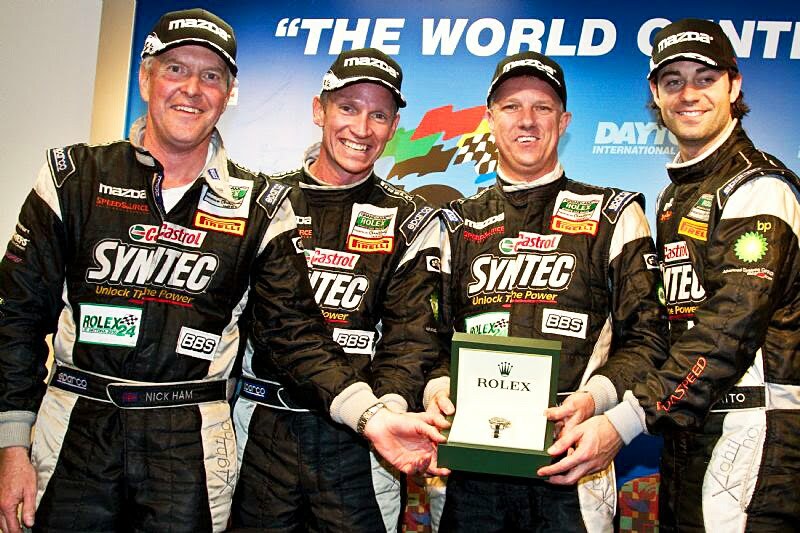 In this next photo we see the GT Class winning team posing with their Rolex Daytona Cosmograph prize. From left to right we see: Nick Ham, David Haskell, Sylvian Tremblay and Jonathan Bomarito from who won in the Mazda RX-8 #70. 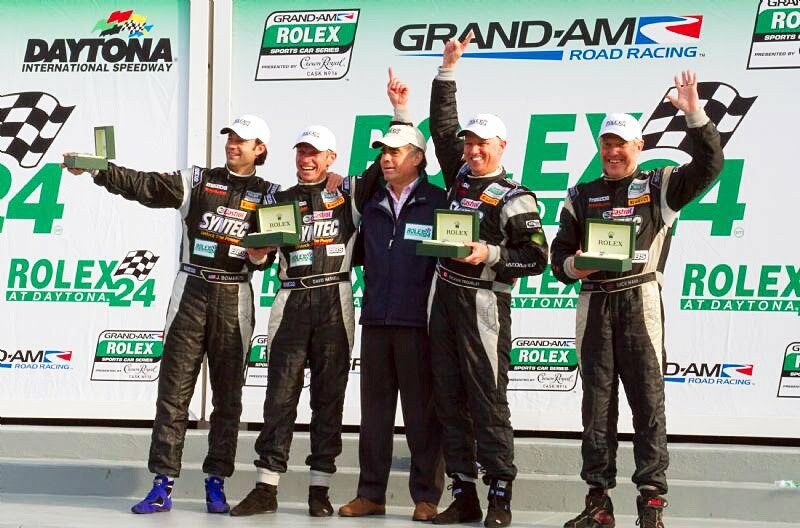 In this next shot we see Rolex U.S.A. President and C.E.O., Allen Brill posing with the winners of the Rolex 24 At Daytona from the Grand Touring (GT) Class #70, Mazda RX-8 as they pose with their Rolex Daytona Cosmograph prize watches. 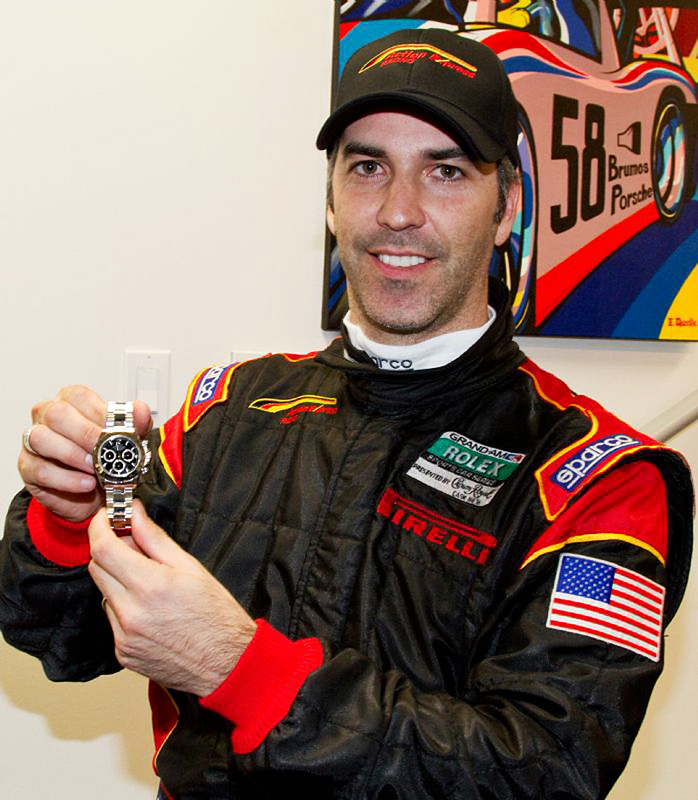 In this next photo we get a close-up of Joao Barbosa from Portugal showing off his Rolex Daytona Cosmograph he won after his team won the Rolex 24 At Daytona in the Daytona Prototype Class. All the photos in this series, unless otherwise mentioned, were taken by Stephan Cooper and are copyright by Rolex U.S.A. 2010. P.S. 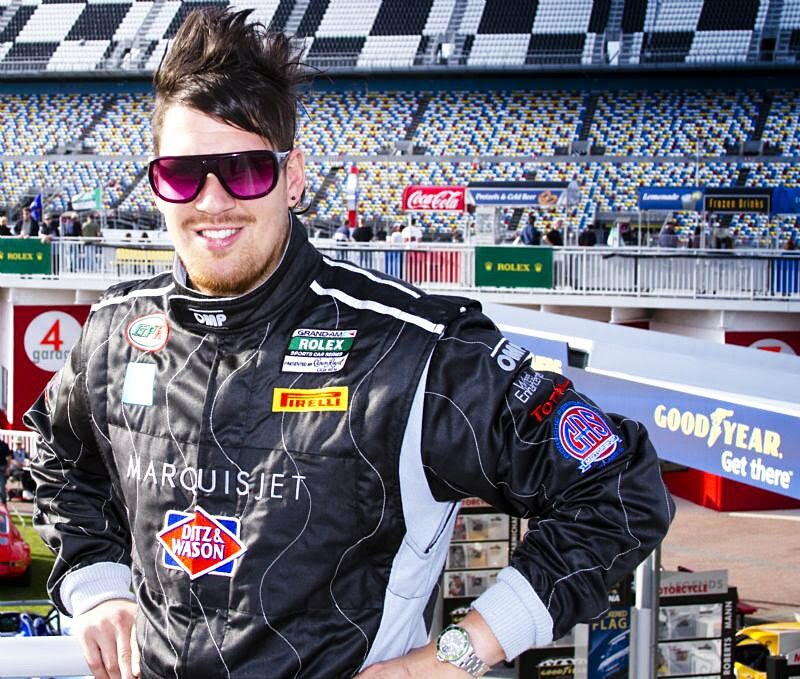 Want an idea of what it is like to drive in a race-car at the Rolex 24 At Daytona? Check out this night-practice video and turn the volume way up!!!! !